My face loves this stuff. 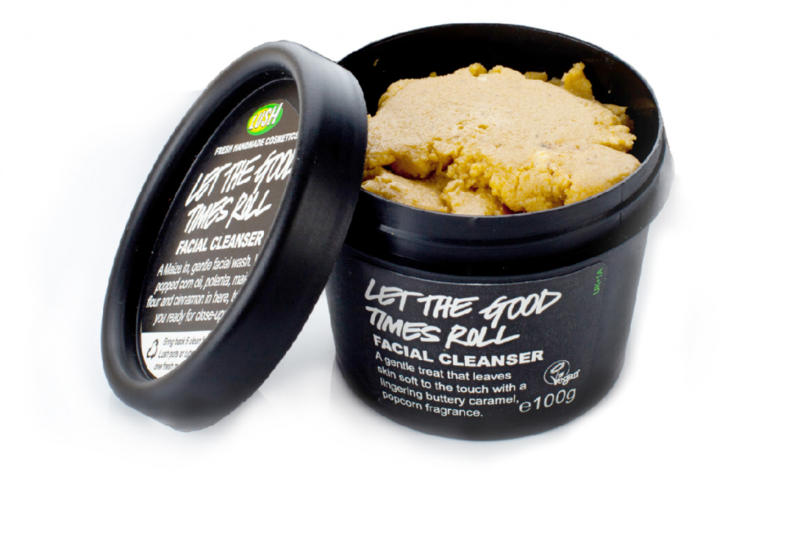 Let the Good Times Roll is a Lush fan favorite. It used to be around just for the holidays but now it’s permanent! This is a cleanser that works with all skin types and since I love a little exfoliation along with my cleansing this was a home run for my mug! 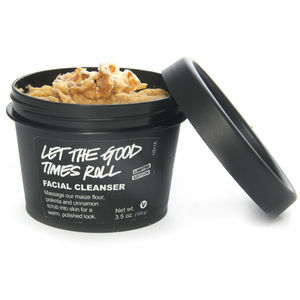 A luxuriously soft and sweetly-scented cleanser, Let The Good Times Roll is made with maize flour and corn meal to gently exfoliate, and a dash of cinnamon powder to cleanse and warm cold winter skin. Its rich, velvety texture leaves your skin perfectly balanced, glowing and smelling like sweet and salted caramel corn. No wonder this cleanser is so popular! How to Use- Dampen your face with warm water. Place a pea-sized chunk in the palm of your hand and add water to create a paste. Apply to your face using small, circular motions. Rinse thoroughly and pat dry. For best results follow with the LUSH toner and moisturizer that best suit your skin type. Your cleanser will remain fresh for up to three months. Always check the expiration date on your product. I’ve been using this on my face for a while now. It really wakes me up in the morning! I grab a little bit of product (it feels like Play-doh) between my fingers and then add some water and rub Let the Good Times Roll into my face with both hands. I love the gentle exfoliating effect and it smells so darn sweet and yummy. It smells like cinnamon. I almost want to eat some but thats not a good idea. My face feels so smooth and soft after using this. The only thing to be aware of is that this does expire faster than some other Lush products. It’s best to use it within three months of purchase. I love putting something on my skin that has so many natural ingredients. So if thats something that you’d like to get into I highly recommend checking this out the next time you are at the Lush store. My combination skin loves it but remember it’s good for all skin types. I’ve been following up after cleansing with Breath of Fresh Air Toner which is another great skin care product from Lush. So check out that post if you’d like to add a great toner into your skin care routine. I love it because it doesn’t make my skin feel tight or stiff after I apply it. My skin feels moisturized and fresh. It’s not like any of the other toners that I’ve used in the past. I think most toners strip the skin of moisture which isn’t something my skin reacts well to. Check out this demo video if you’d like to see how easy it is to use Let the Good Times Roll. Thats a great way to describe it! I love everything about it the smell just makes me happy and the exfoliation/texture makes my skin happy. Def check it out at the store. I don’t know if all stores are like my local one but they let you try things and I like that because you can tell a lot from the texture of a skin care product. 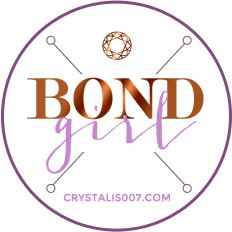 I’m in love with their moisturizer for combo skin I have to do a review on that this week. It’s really good too. My skin gets kind of crazy during this time of year and it’s helping!